2 October 1187, the crusader Kingdom of Jerusalem ended when Balian of Ibelin surrendered the city to Saladin. 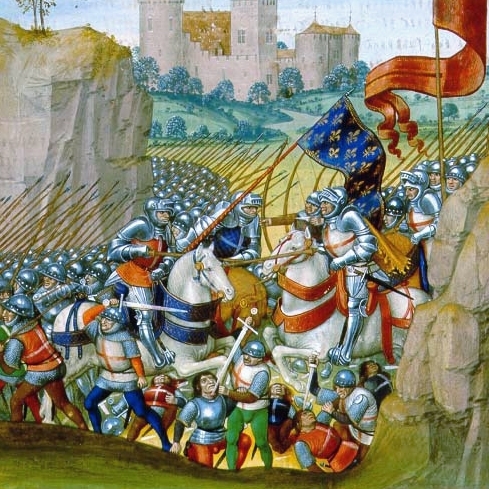 The crushing defeat at the Horns of Hattin the assembled armies of the crusader states suffered in July 1187 on the shores of the Sea of Galilee was the beginning of the end of Christian outremer. 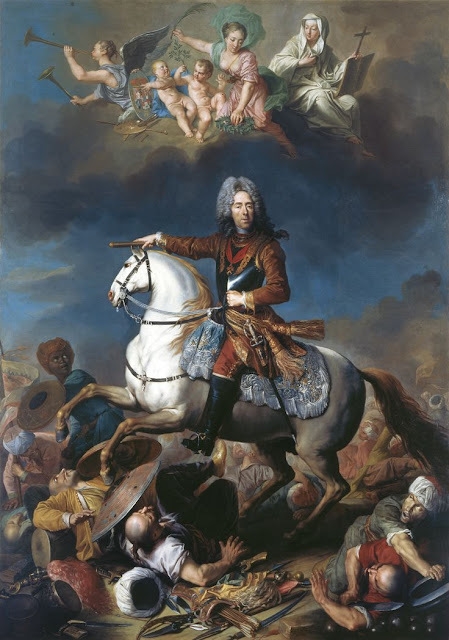 Most of the fighting men of the Kingdom of Jerusalem, the County of Tripoli and the Principality of Antioch as well as the elite of the military orders, the Knights Templar and the Knights Hospitaller, 20,000 all in all, were either dead or captured. Saladin just had to take the now completely undermanned castles one after the other throughout the Galilee as well as the cities like Tiberias, Tripoli, Beirut, Sidon and Jaffa. Within a few weeks, hardly more than St Jean d’Acre, Tyre and Jerusalem still were in Christian hands. 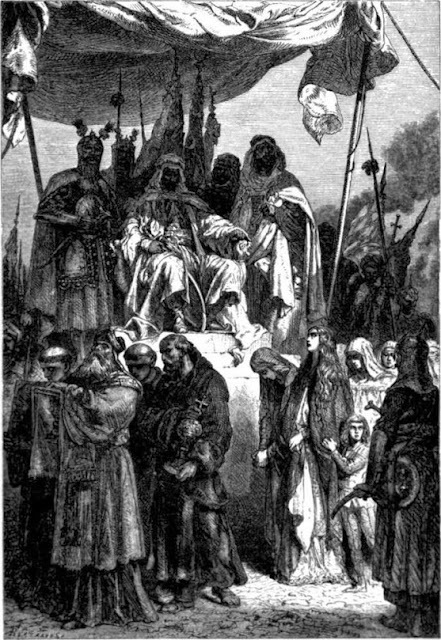 On 20 September, Saladin began his siege of the Holy City itself. Balian of Ibelin was a polein, a European born in the Levant, a seignior with a fief 30 miles north of Jerusalem, a warrior and politician and in August 1187 a survivor of Hattin and a refugee who tried to bring his family into the apparent safety of the walls of Jerusalem. Queen Sibylla and Patriarch Heraclius asked him to organise the defences and he accepted – with 14 of his household knights, 16 newly created ones and 40 others as well as about 5.000 men-at-arms and recruited burghers against Saladin’s 20,000 – and the city held. Saladin’s first assault against the walls along the Tower of David ended in a disaster for the besiegers. Then Saladin took up position on the Mount of Olives and used the high ground to have his archers and siege engines contain the defenders in the northeastern part while his sappers undermined the Damascus Gate. The wall collapsed on 29 September, not far from the place where the crusaders breached it in 1099. 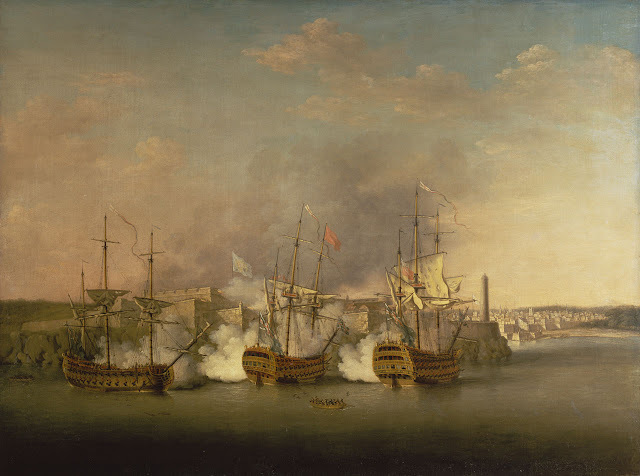 "Les Passages faits Outremer par les Français contre les Turcs et autres Sarrasins et Maures outremarins"
Balian and his men were grimly determined to defend the breach and, again, the city held but the situation was desperate. The officials decided to negotiate and Saladin finally accepted to let 7,000 men, women and children go who could ransom themselves, the other 20.000, the poor and most of the refugees, were sold into slavery, when the Ayyubids finally accepted Balian’s surrender. But at least no bloodbath occurred like the one the crusaders brought about when they sacked the city 88 years before. Saladin allowed Christian pilgrims to enter the city while he went on and conquered the rest of the former Kingdom of Jerusalem when the news reached Europe where Pope Gregory VIII called for the Third Crusade that reached the outremer two years later.